Crawford Landscaping has been selected as the Landscape Maintenance provider for Ole, a Stock Development located in East Naples. "We are thrilled to add such a beautiful campus to our portfolio," comments Blake Crawford, owner. "We maintain the sister property to Ole, Paseo, in Fort Myers, and so we are very familiar with the layout and the many beautiful amenities." 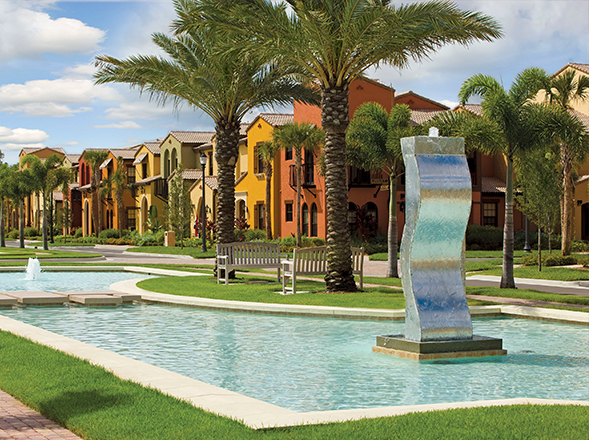 Ole' is a 623 unit Mediterranean-styled neighborhood within Lely Resort & Country Club with it's own village center and club amenities.